He only needed 61 hits, nine under par, to complete it, and is already leading with a total of -11, followed by South African Lombard and Chinese Haotong Li (-8). The Spaniards, far away. The American Dustin Johnson, third in the world ranking, signed a second stellar round, with 61 strokes (9 under par), which led him to the lead with a total of 129 (-11) , in the International Saudi Arabia, of the European Circuit, in the King Abdullah Economic City. 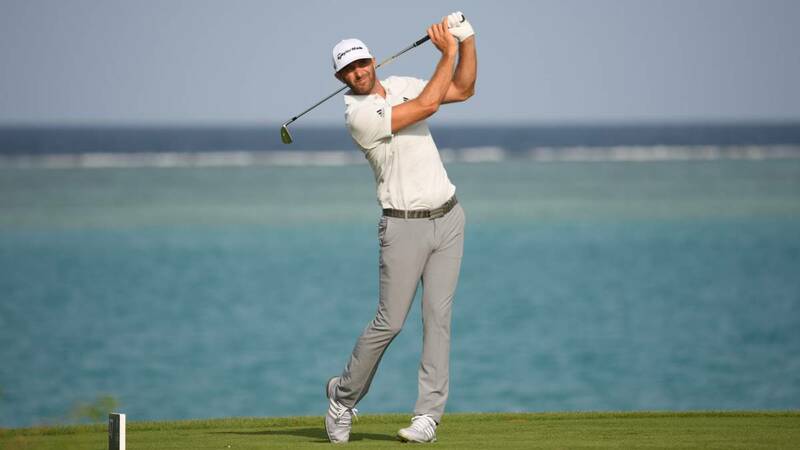 Dustin Johnson, with 19 wins in the PGA Circuit and a victory in the United States Open, presented a second card with an "eagle" (hole 4) and seven "birdies", taking advantage of the good weather conditions at that time. A Three shots of Johnson are now the South African Zander Lombard, who made 67 impacts, and the Chinese Haotong Li, who signed 65. Good tour of the Paraguayan Fabrizio Zanortti, with 66 hits (four birdies), and in fourth place, four hits from the head. The Belgian Thomas Pieters, three times champion in the European Tour. He started the day as leader, with 63 of the first round, went to some bad 74 (+3), which decreased him to the eighteenth position. The Spanish representation had Adrian Otaegui as the best protagonist, with 68 strokes in the second route, for some 137 that also take him to the eighteenth position. Gonzalo Fernández-Castaño made 70, the same as Sergio García; while Jorge Campillo went to 72 and Pablo Larrazabal to 73. All passed the cut.